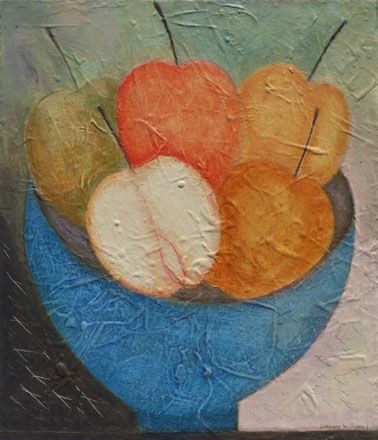 Vivienne Williams was born in Swansea in 1955, where she still lives and works. 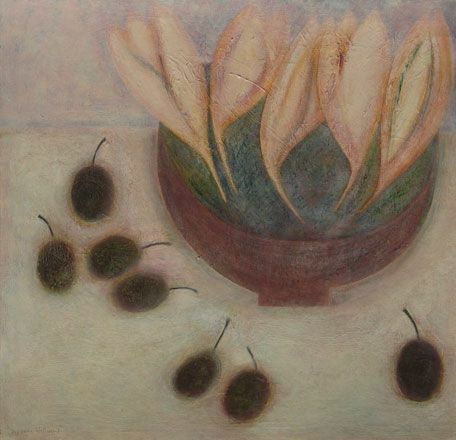 She took an MA in ‘The Literary Response to the Visual Arts’ at Reading University, then travelled and taught worldwide, and whilst in Australia, between 1980 and 1982, took drawing classes. She subsequently returned to Britain to study and work at a Buddhist College until 1990. It was at this point that Vivienne became a full time artist, since when she has exhibited with increasing success, acquiring a large and loyal following. 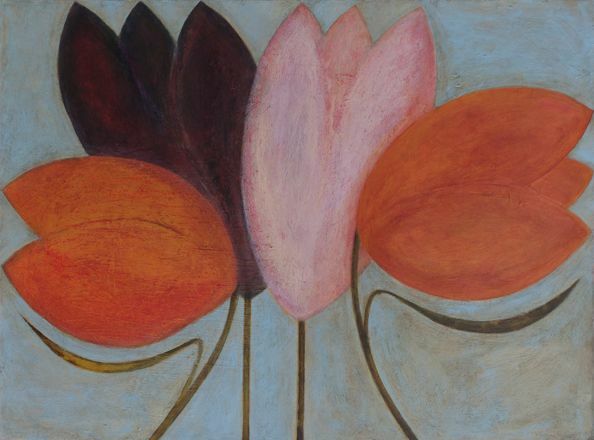 Vivienne’s work is strongly influenced by Tibetan Buddhism in its celebratory use of colour and its quiet contemplative qualities. 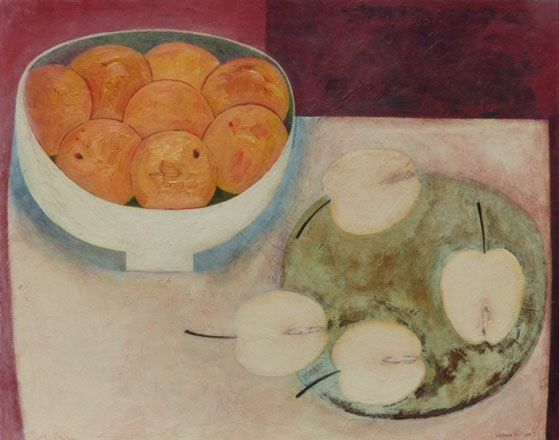 Her work is in public and private collections in Britain and abroad. 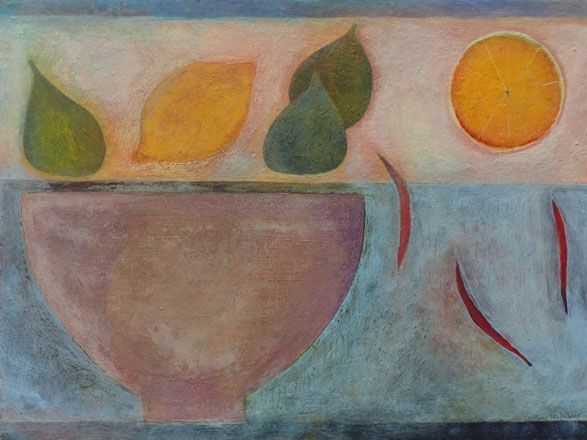 "Colour is the most important thing in my work: in the bold and rather exuberant flower paintings and the more contemplative still life pictures of pots, bowls, jugs and fruit. 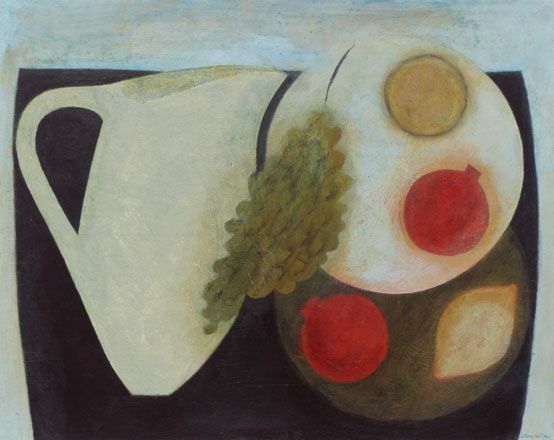 The elements within a composition are often rearranged and painted over many times. In this way layers are built up until ordinary paper takes on the appearance and weight of old leather. The surface texture is energetically worked and reworked, scratched, sanded and stained. At any moment during this process there is an opportunity for a painting to emerge."